You can train for a marathon without much running. 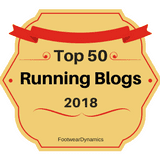 Last fall, after I ran my last half marathon in November, I was hit with some pretty severe plantar fasciitis. It hurt to even walk, much less run. By the time my Big Sur marathon training rolled around in February, I knew I was in trouble. Instead of going back to the podiatrist I had seen in the past--his custom orthotics did more harm than good--I decided to go a different route and found an amazing sports medicine specialist. She promised to get me to the start line of BSIM if I promised to stay off the road for a while to let my foot calm down. 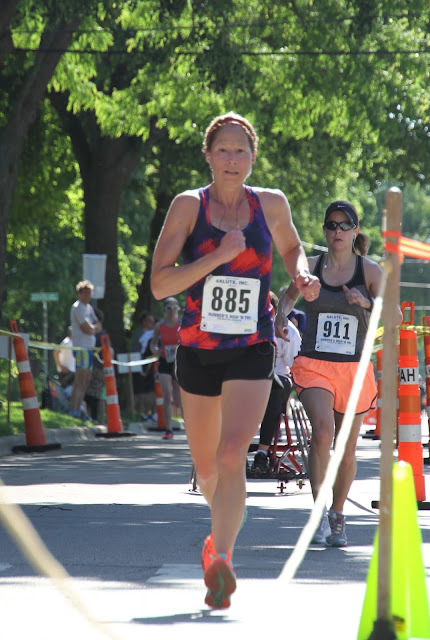 With an alternative training plan of pool running and cycling, plus some creative cross training from Coach Becky, I was able to maintain my endurance and eventually return to the road a few weeks prior to the marathon. While my longest run for BSIM was that Sarasota half marathon in March, I was able to complete my dream marathon without a whisper from that foot. I would caution anyone reading this not to attempt a marathon without proper training. But my past experience with the distance, determination to finish, and good guidance got me there. Big Sur Marathon and that coveted finisher's medallion! That mantra has been my motto all year. With the exception of my 10ks, I haven't gotten any AG awards this year. I've struggled with long distances all year. Instead of getting hung up on my finish times, I've set a perpetual goal of having fun. The way I see it, you put your heart and sole (pun intended) into your training, but it all comes down to one day. One race. A couple of hours. What if you fail to meet your goal? Are you going to go home and drown your sorrows? Beat yourself up? Why not be grateful for the gift that is running? I refuse to get upset about a missed finish time goal. I mean, look at last weekend's PCB half--I had a goal of 2 hours and finished in 2:03. Sure, I'd like to know why I felt so crappy during the race--I'd like to learn from that. But I got to run a race in Florida. In December. With a group of fun ladies. Emily from Out and About summed it up perfectly: no matter what your finish time, everyone gets the same medal. 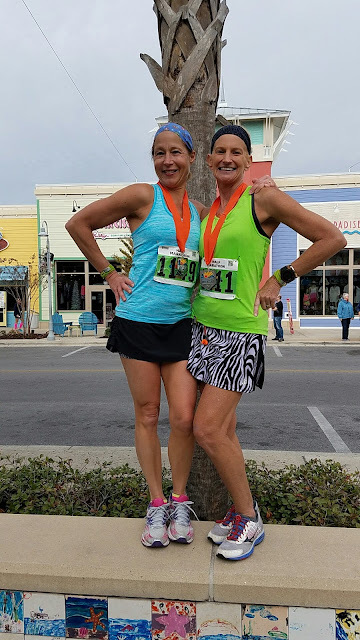 Me and Holly at PCB, finishers y'all! I've still got some speed in me. Even though I struggled with the half and full marathon distances, my 10ks were on point. I ran 2 of them and collected AG awards at each. I've been thinking about that a lot. Depending on how my half and full go in 2017, I'll decide if I'm going to focus on the shorter distance. I would like to run a sub-7 minute mile. I haven't run a 5k in years and am considering revisiting that distance as well. Long distances will always be part of my training. I just don't know how I feel about racing them anymore. We'll see. 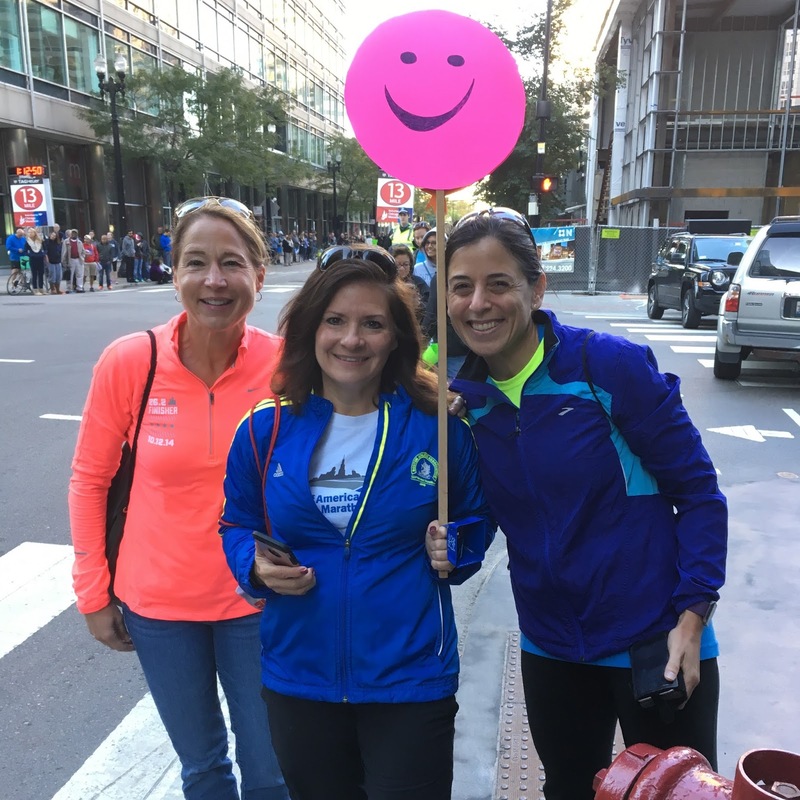 Spectating a marathon can be just as much fun as running one. My experience spectating the Chicago Marathon was beyond my expectations. It was really fun watching all the runners come by, from the elites to the BOTPers. 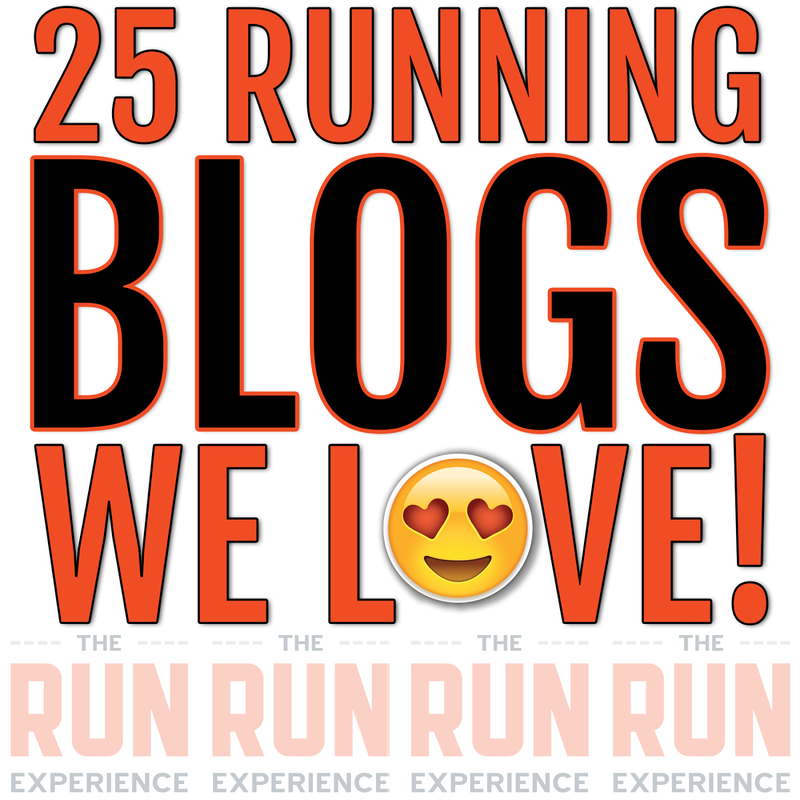 It was also fun because we knew so many runners! Having run the race 3 times, I knew how they felt and what was ahead of them. It's too bad that spectators can't be a part of the finish line experience because that is always so joyful. But I definitely want to be a part of it again next year. Running friends make the best friends. I could write a whole blog post on this topic. I used to be a solo runner. I trained alone (I still do) and I went to races alone. As I head into my 4th year blogging, I can't help but be amazed at the wonderful friendships I've made through my little corner of the interwebs. 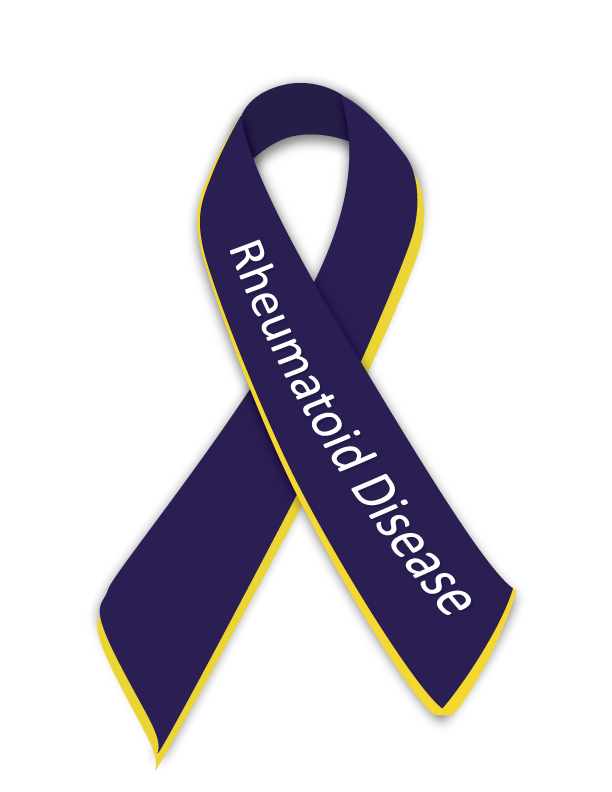 Yes, some of those friends have come and gone, but there have been some that have been with me since the beginning of this blog. Running Big Sur with Kristina in California was amazing. I have never run a race, side by side with someone before, and I still get goosebumps thinking about it. After this past weekend in Florida, I keep thinking how it felt as if I knew these ladies forever. I guess blogging opens us up to each other. 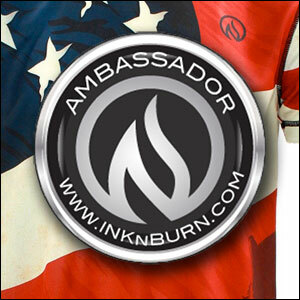 We share a passion for running, but we all have so many similarities. The really nice thing about that girls' running weekend was that I didn't have to apologize for running. You know, when you go away with your friends and you have to make excuses so you can sneak out for a run? Runners--we get each other. 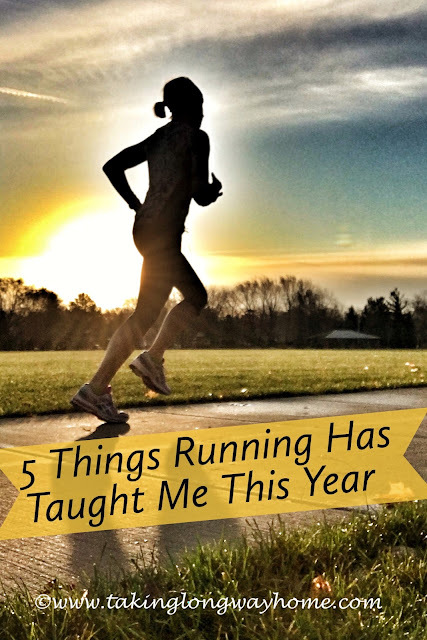 What has running taught you over the past year? 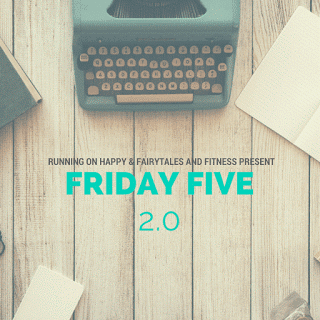 I'm linking up with the Friday Five v 2.0, hosted by Fairytales and Fitness and Running on Happy. I think something that running has taught me this year is never say die. You can always find a way to come back from a problem. You will be different, but that isn't necessarily a bad thing. I hear you on the long distances. I've run 1 half marathon in my life and it will likely be my last...it just wasn't that much fun for me. Once I hit 10 miles in training, I was just burned out of the whole thing. I grew up a swimmer and was a sprinter, so long distances are naturally really hard for me and hard on my body. 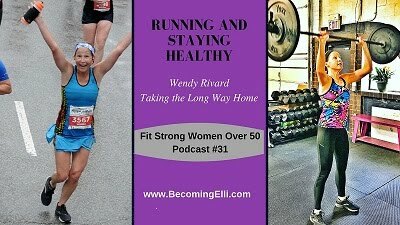 So, I've been focusing on 5Ks, Sprint Triathlons, and an occasional 10K ever since! I think you can train for those distances, but it takes a lot of patience when all you want to do is go! The best part about looking back is realizing how far you've come. I think this year has been epic! I think the best thing about this year is how much fun I've had running! I almost think (almost) that is better than a fast finish time. Now it's all about running and having fun. I wonder a lot about endurance. I fill out those race time calculators from time to time, and they always showed me running a much faster half than I ever ran. But they'd be spot on for the distances up to that point. It seemed to follow that my endurance is lacking. I wonder if you'd be able to train more (convention training, that is) if you would have won AG awards? Some years just aren't our years, that's for sure. So if we're not having fun, what's the point? I know for myself, I absolutely have to train. Otherwise it hurts, and not just a temporary hurt. Although I didn't train super hard for this half, so there you go. Here's to a fun 2017 with better finish times! But this year was all about fun and yep, mission accomplished! I almost think that maybe the secret to aging successfully is having fun! I like that... I definitely hope to age successfully. If it's not fun, it's not worth it! I found myself nodding along to each item you listed. 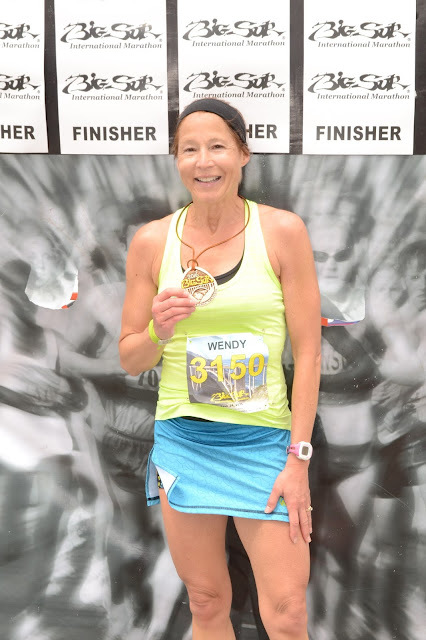 You did learn a lot this year Wendy, and because of your reflection you will continue to grow as a runner! We are never too old to learn, right? My one main goal this year was to finish the Tink 10k strong. That's the only goal I had. I'm going to keep that for next year, because I'm still working on my at-home PT to be able to be even stronger for the BB. Did you achieve that goal? I think to be gracious and maintain a sense of perspective when we fall short of goals/expectations is huge. It's one of the many reasons I <3 you. In the end it's all about enjoyment and having fun. And if you can't have a sense of humor about it, what's the point? Yeah finding a tribe that shares our kind of crazy is priceless. You know, life is too short to stress over a finish time. I've had so much fun with running and no matter what--let's say it together--it's all about finish lines, not finish times! I cannot wait to run into old age with you! You've had an awesome year! What I love about running is how it constantly teaches us and challenges us. 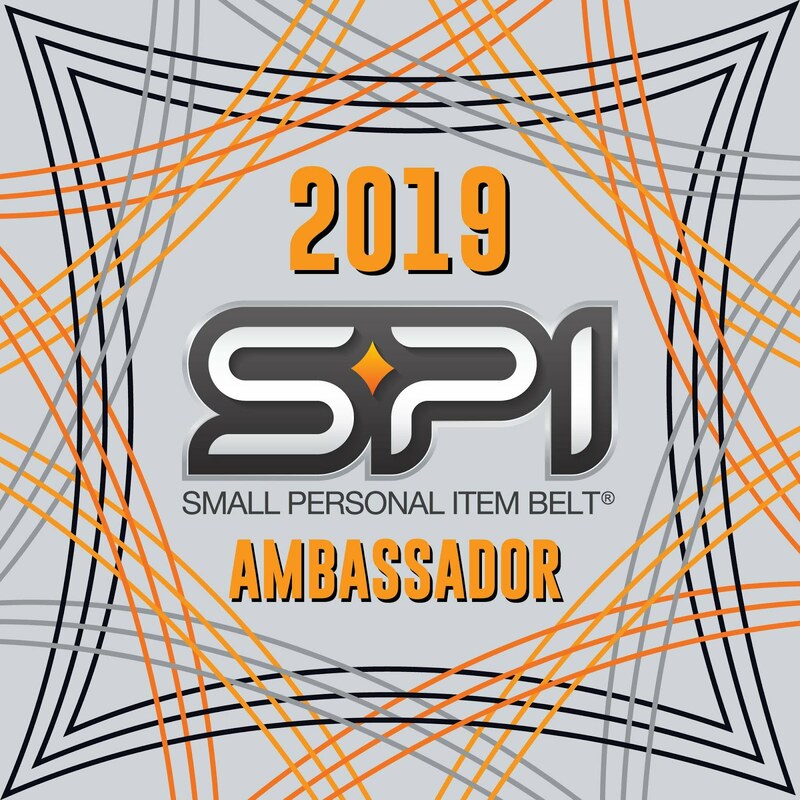 I look forward to following you and seeing you get even speedier! Maybe it's middle age crazy? I just love to challenge myself. 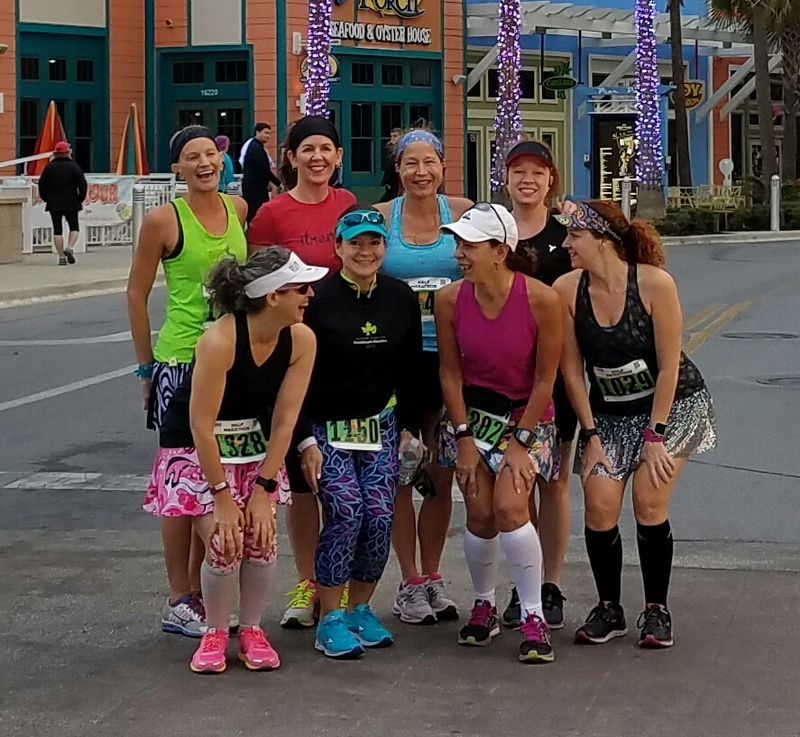 Runner friends do make the best friends! My community of runners has been on point this year, helping me through bad times and celebrating the good! Aren't we so lucky to have our tribe? Great post! I've struggled with injury this year, and I've learned that while I love running and thankful I'm getting back to it, I have to put it in it's rightful place. I AM a runner, but that's not ALL that I am. But it does help me be who I am. But I'm learning that it's not about the distance. I may not be able to do the long distances and multiple races like I'm used to but a few miles here and there and 5Ks can be just as good! I am a runner and that makes me better at everything I do. On and off the road! I am learning to appreciate just being present and running for sure, I am challenged by the foot pain, and having to do intervals, but in the end I still feel great from running more often than not, so I'll keep hanging in there until I can't. Love this. Running friends DO make the best friends. Not that non-running friends aren't great, they SO are, but my bff Lora is also my training partner and there is nothing that we don't tell each other and I'd honestly die without her. Yes to all this! 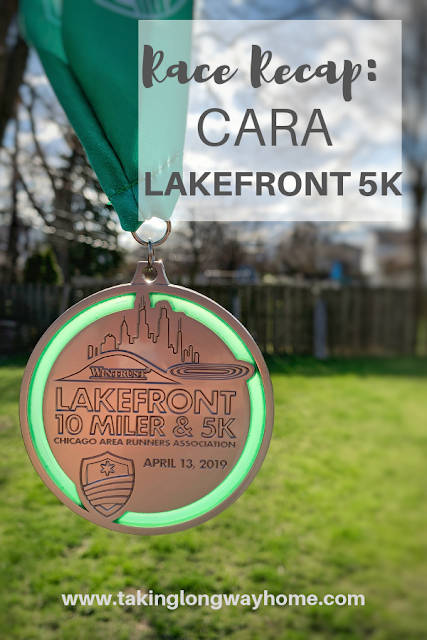 I have learned early on that everyone gets the same medal for finishing, I keep that in mind and never have a bad race as long as I cross that finish line. I am not a high mileage runner. I know that. I'm ok with that. I'll have to chime on that one too! Hurts so bad and you know what? You'll still feel bad for skipping it, but hey...there's always next year, right? Maybe being a Cubs fan has helped me in that department. I'm going to learn, very soon, that I can do a half marathon with less training AND that finishing is always winning - sometimes life gets in the way of running those longer distances, but hey - it's not my job, this is for fun, right? I have to remind myself that this is all about fun and yep, it is! Awe I'm glad to hear you've made running buddies!!! That's a great way to socialize (: and super healthy! I agree finishing is winning for sure!! Ooooh! And I've learned from you how to take some great pix; that everything goes down better with a little southern accent; redheads really do have more fun! LOVE U! I think this year running has taught me that as much as I can try to control everything, I just need to learn to be flexible. It wasn't a great running year for me but I am ready to have a better 2017! Running friends really are the best friends. I was much more social with all my runs this year, and I realized I love having company for long runs! I haven't found long run partners yet but I'm loving finding runners to meet up with! WE do get each other and one thing I have learned is never say never! Old dogs can learn some new tricks and dancing is not optional! Let's do it again! Yes to all of these. I learned to have fun this year, too. It's all about the journey AND the destination. Right? But you know me, I'd have to race them! 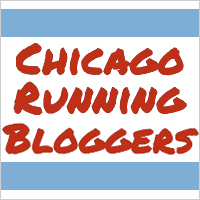 My highest weekly mileage for Chicago, a race that I did proper training for, was 38. There was a lot of cross training in there as well. It's still a commitment to train for a marathon, but yes, you can do it on a lot lower mileage, depending on your goals! You had a great year, Wendy! So many wonderful lessons. I am learning to relax and see the big picture. Yes to all of this, but, I LOVE your "finishing is always winning" point. 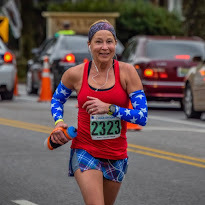 I had a terrible performance at my last race of the year and realized this after crossing the finish line :) And I love spectating races-I always end up in tears watching people cross the finish line of a marathon! I learned from my first marathon that I don't ever want to be that disappointed again. Sure, it feels bad when you don't hit your goal time--or anywhere near it. But it's a privilege to be able to run and as runners, we need to appreciate that, no matter what happens. I love this post. It definitely rings true. If you always focus on finish times, you won't have fun. Finishing is winning. It's the secret to having fun and running through the "middle aged privileged" years. I may already be past that and in the "old aged years" and though I think I CAN get faster, sometimes you just don't meet your potential. But you're out there and running with friends makes for the best racing experience. I hope we get to do this again. I don't mind missing a goal but I won't lie--the competitor in me loves crushing my goals. Yep, middle aged and privileged is a-ok.
Wow it's kind of like we had the same year, I totally agree with and have learned this year about every point you made in this post! Glad you feel that way! It's been a interesting but really fun year!